The National 2017: New Australian Art was today unveiled at three of Sydney’s premier cultural institutions, representing the first exhibition in a six-year partnership between the Art Gallery of New Wales (AGNSW), Carriageworks and Museum of Contemporary Art Australia (MCA) that will continue biennially until 2021, presenting the latest ideas and forms in contemporary Australian art. 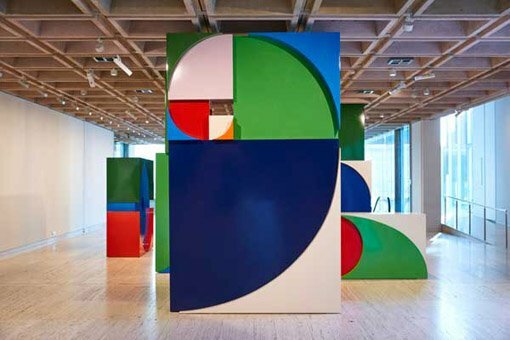 Connecting three of Sydney’s key cultural precincts – The Domain, Redfern and Circular Quay, The National: New Australian Art is the only large-scale, multi-venue exhibition in the country focused solely on contemporary Australian art. 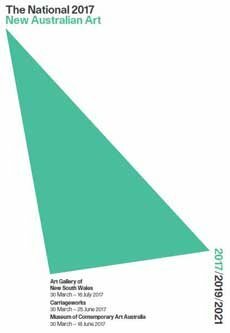 Presented concurrently at the three institutions, The National 2017 features work by emerging, mid-career and established Australian artists, showcasing new and commissioned work and encompassing a diverse range of mediums including painting, video, sculpture, installation, drawing and performance. The exhibition offers a holistic view of Australian art at a point in time, and fosters dialogue between generations of artists. The work of Aboriginal and Torres Strait Islander artists features prominently across all exhibition venues, including those practising on country and those based in urban areas. The National 2017 is curated by Anneke Jaspers and Wayne Tunnicliffe (AGNSW); Lisa Havilah and Nina Miall (Carriageworks); and Blair French (MCA). While curators focused on the delivery of the exhibition within their institutions, they worked together developing ideas and research, producing a single exhibition that unfolds across the three sites with key points of connection and dialogue. At the Art Gallery of NSW, exhibiting artists explore the forces of social change. Their works open up new conversations with history and politics, looking at feminism, colonialism and our relations with the natural environment. From the vivid colours of Emily Floyd’s monumental feminist sculpture in the Gallery’s entrance court, to the scarred beauty of the landscape in Taloi Havini’s mesmerising video and Helen Johnson’s paintings that unsettle myths related to Australia’s colonial history, the works gathered at AGNSW for The National 2017 look to the past in an endeavour to make sense of the present. At Carriageworks, artists explore the hybrid Australian identity offering different perspectives on how identification is shaped by questions of experience, knowledge, history and power. Works present a strong performative element, including senior Kimberley regions’ lawman Alan Griffiths’ performance of the Bali Bali Balga with 15 indigenous dancers; an ambitious new commission by Justene Williams’ featuring a sculptural installation and live performance synthesising dance, costume, live music, electronic sound and vocals; and a major site-specific sculptural installation by Ramesh Mario Nithiyendran. At the MCA, artists are drawn from every Australian state and territory, with their works considering recurrent subject matters, materials or the processes of art making. Encounter Khadim Ali’s 15-metre mural evoking migrant experiences of exclusion, isolation and waiting; the beautiful repetition of materials and forms in Rose Nolan’s monumental banner; and 32 metal-cast objects accompanied with a homemade furnace by Matthew Bradley. There is no one connecting theme at the MCA, although common elements – art that considers the actions of power, conflict that shapes the present, and an individual’s relationship to society – connect the works on display. During the opening week of The National 2017 , be captivated by a three-day program of talks, performances and events across all three venues. Take an in-depth look at contemporary Australian art: meet and hear from the exhibition’s artists and curators; encounter live performances, electronic sound and vocals at Carriageworks; enter Jess Johnson and Simon Ward’s homage to post-apocalyptic films and DIY culture at MCA’s ARTBAR, and enjoy a special presentation by Yolngu artists Gunybi Ganambarr and Yinimala Gumana at AGNSW. The National 2017 public programs continue throughout the coming months with artist talks, performances and workshops on offer alongside family and children’s activities and a wide variety of access programs. The exhibition is accompanied by a richly illustrated publication, edited by the curators with Genevieve O’Callaghan. It features curatorial overviews; commissioned essays by Sunil Badami, Daniel Browning and Helen Hughes; and extended entries for each of the 48 artists included in the 2017 exhibition. The publication is available for purchase at the Art Gallery of New South Wales, Carriageworks and the Museum of Contemporary Art Australia for RRP $34.95. It is also available online at the AGNSW and MCA websites. 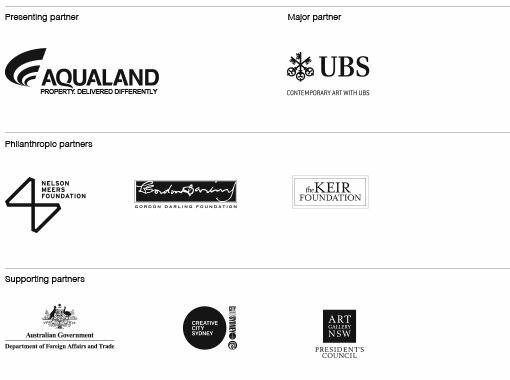 The National 2017 is supported by a dedicated website offering a significant resource for users around the world on contemporary Australian art. It represents a comprehensive record of the artist participation in the inaugural exhibition, including artist biographies and portraits, curatorial and essays about artists’ work, and photographic documentation of artist works. From late April the website will provide curator commentary on every exhibiting artists’ work via both audio file and Auslan video. The website will also house short documentary films on 13 artists and their projects including: Khadim Ali (MCA); Zanny Begg (MCA); Emily Floyd (AGNSW); Alex Gawronski (all venues); Alan Griffiths (Carriageworks); Dale Harding (AGNSW); Archie Moore (Carriageworks); Nell (MCA); Claudia Nicholson (Carriageworks); Tom Nicholson (AGNSW); Ramesh Mario Nithiyendran (Carriageworks); Rose Nolan (MCA); and Justene Williams (Carriageworks).